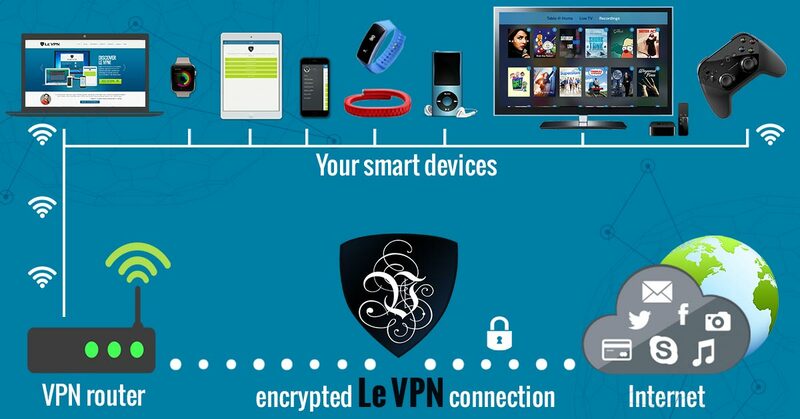 Le VPN, the industry leader in VPN for IoT, has partnered with Sabai Technology to offer a router with VPN technology embedded in it for every Internet need. Routers are a crucial point of potential weakness in any Internet security system that can be easily addressed with router VPN technology. The router is the device that connects Internet ready devices to the Internet, servers, websites and other devices. Without proper security it will blast your IP address across the web for any black hat hacker, censor or government official to see. They can use the information to disable your connections and even to geo-locate you and your devices. VPNs create secure connections that prevent hacking, protect identity, ensure Internet privacy and fill in the gaps left by more traditional security measures such as malware and firewalls. In the past it was difficult for average Internet users to set up VPN on router and even harder to deploy. VPNs use a combination of private and military technologies that have only recently become available to the broad scope of Internet using public. They encapsulate data being sent from a VPN enabled device, effectively masking the origination markers so it is nearly impossible to track. The data is encrypted so that if it is intercepted it will not be usable without significant expenditures of time and money. The connections are made through dedicated servers located throughout the world, bypassing local ISP servers, making connections nearly impossible to detect and impossible to geo-locate. Now that the technology is pre-installed on a router any one can take advantage of the many benefits of VPN. 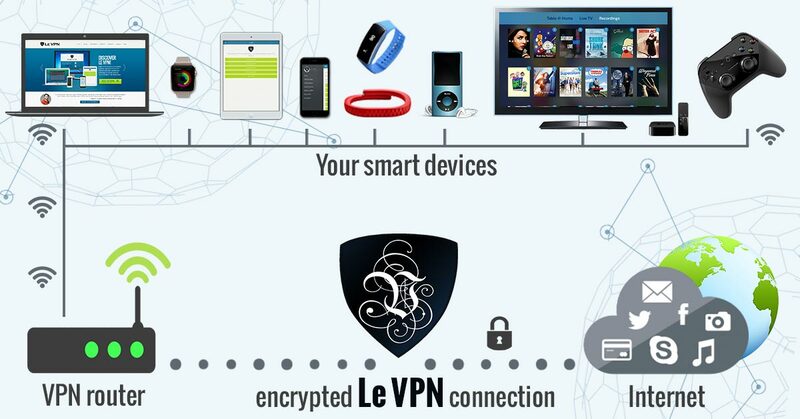 Le VPN offers a full array of VPN solutions. They have more than 114 dedicated VPN servers located around the world that support 4 different VPN protocols. Their VPN routers make use of all these features providing specific levels of security for Internet surfing, streaming media, unlocking geo-restricted content, transferring sensitive personal information or highly confidential work. While using VPN with an individual device is handy there are drawbacks including the fact that not all devices will support them. This can be alleviated by connecting to a VPN router. The service is simple, once you have purchased and set up the router a single Le VPN account, which can run as low as $4.95 per month, will allow an unlimited number of devices to connect with no limits on time or traffic. Complete security for all your Internet ready devices in one simple solution. Use as many devices as you want, not limited to the “enabled” device. Enjoy VPN encryption, IP masking and Internet privacy on any device, not just the ones that allow manual installation. Complete security for IoT, smart homes, offices and workplaces. Sabai Technologies is located in Simpsonville, South Carolina and is a leading distributor of wireless networking and VPN enabled devices. They utilize a proprietary OS along with the world’s leading VPN providers to bring security solutions to the average home or business in a manner that is cost effective and easy to deploy. For the best VPN routers Sabai and Le VPN are the only choice. To view all Le VPN enabled routers from Sabai follow this link.